No doubt Facebook is a valuable social media platform for any company’s marketing armory. Facebook with 1.86 billion monthly active users can be an incredibly powerful tool for your company to approach new customers and personalize important messages to them. Facebook Marketing ia an important tool in boosting engagment and sales. Do you know how can Facebook fit into your content marketing strategy? For your business, you may be generating content on a weekly or monthly basis to increase/maintain SEO keywords rankings or just write content for providing information to your clients. But do you know, how is it getting distributed? Who is reading your content? Facebook can be a valuable social media tool that not only improves your content marketing results but also helps you to learn more about your audience. While making Facebook content marketing strategy, you have to understand that only having lots of likes on your Facebook page is not sufficient. You need to have a relevant target audience that engages with your Facebook page on a constant basis. People not only need to see the content, but like the blog posts, comment on them, and share them, instead of just scrolling right past. Even if you write a fantastic content, if no one reads or engages with it, it might as well not exist. You should focus on building a solid audience that is genuinely interested in your product or services. You’ll find that it gets easier over time, likes will just come organically, and people will share more articles as you reach a critical mass. Just keep trucking! Always share important pages of your website like services/products page and website articles on Facebook. If you have excellent content on your site, but no one reads it, it doesn’t serve any purpose. Facebook can help enhance and expand your audience. Don’t just share a link to a blog post without any description: make sure to use images, an exciting description, and share at a popular time for your followers. Use blog articles on your website, if you want to promote your product/services and increase your traffic. But this can only be beneficial to you when people actually read them. Facebook is a great way to accomplish this. If you have a noteworthy post, post it multiple times on Facebook after several days or a week later. From our experience, we know that the most crucial thing for increasing engagement on Facebook or any other social media channel is Pictures and videos. Instead of sharing only a text on Facebook if we share a picture that is worth a thousand words and a video may be worth even more. A YouTube link or a thrilling image can entice your page followers to comment and share in the post. We know that, like algorithms of Google, Facebook algorithms also change very frequently, so you should keep an eye on them and make amendments in your social strategy to increase your reach. Make use of videos, images and blog articles to engage your followers on Facebook. You should post frequently, but never flood your users with your posts. Though not always directly related, Facebook Ads can have a big impact on how your Page on Facebook performs. 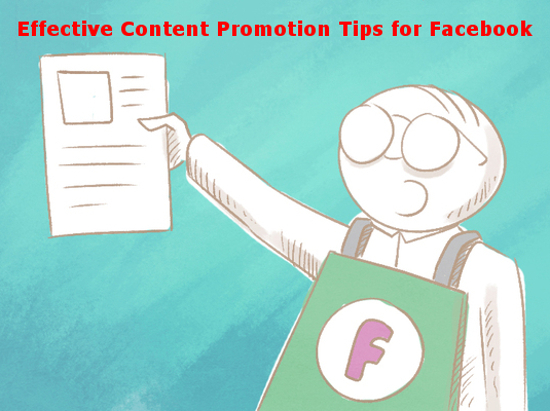 Facebook Ads are a great way for followers to find your page and start reading your content. It can promote your blog posts that your Audience has shared. Always split test for ads to maximize your ad dollars. Use Facebook Ads wisely to increase your impact and reach. If making Facebook part of your content marketing strategy sounds great, but you aren’t sure where to begin, contact our marketing team today. 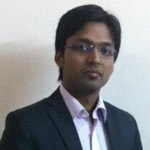 IS Global Web is a digital marketing company in India. Our team is specialized in social media and Facebook Marketing Services. We have Facebook marketing packages for every business size. IS Global Web help its clients to craft an integrated approach that maximizes their content offerings with Facebook’s social media potential.